Once upon a time, a lovely maiden from Fresno married the man of her dreams. 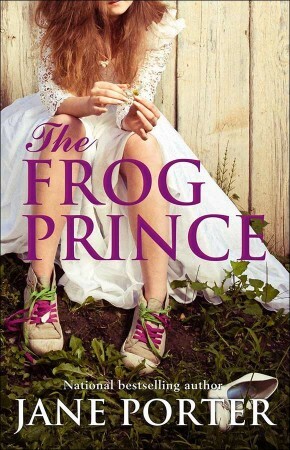 After the honeymoon, she waited for the “happily ever after” part… until her Prince Charming turned out to be a toad. Now Holly Bishop is about to write a new chapter in her life. She moves to San Francisco to become an event planner—only to find she is dealing with a gorgeous fairy godmother for a boss and corporate witches wicked enough to sabotage her future. 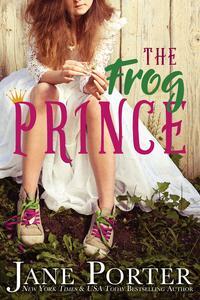 Not to mention the egomaniacal frogs Holly finds lurking at the bottom of the dating pool. With no one to save her, will Holly slay the dragons herself and stand on her own for the very first time? Will the man behind the mask at her costume ball make her believe in love again? And will she risk giving up her dreams to become the heroine of her own story? 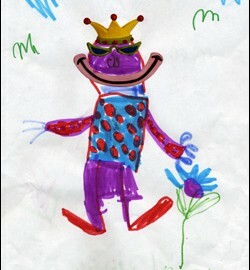 I’ve collected a few fun frog princes in my life. Here are three: a drawing, a sculpture, and a cartoon. “Holly Bishop is experiencing her very worst happily ever after. …divorced after only 10 months of marriage,… she’s starting over… Putting her past firmly behind her is proving impossible, though, and matters are not helped by having a gorgeous boss, Olivia, who’s determined to put Holly back in the dating scene again. A series of frog princes follows as Holly attempts to take charge of her own life. Somewhere in the middle of surviving after marriage life, Holly begins to reinvent herself while discovering that she is an interesting person who can create her own future. “The book is subtle, sweet, sometimes sad, and sometimes funny- but always true to life. Porter did an awesome job at capturing the true angst of a newly-divorced woman trying to pick up the pieces of her life. The writing in this book flows seamlessly from one scene to the next, and Holly is such an interesting, slightly flawed yet likeable character that one will feel they are there, experiencing the things she does. “With a smart and snappy style Ms Porter takes the reader along on Holly’s journey toward self-discovery, confidence and independence as she makes a new life for herself in San Francisco. You will laugh and cry as you journey with Holly toward self discovery and you just may learn a few things about yourself along the way. Ms Porter has penned a clever tale that’s not to be missed.